Plot 2 is the first type of house available in the Kingsland development. 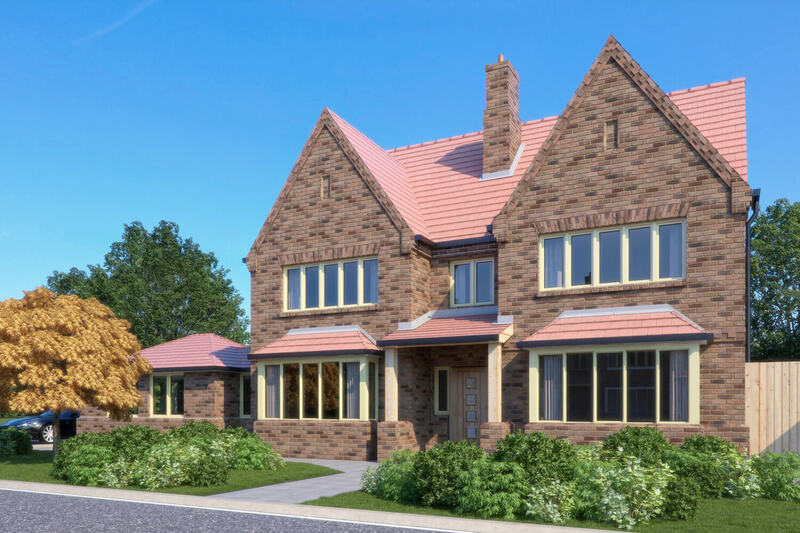 The house boasts beautiful cantilever brickwork, with gorgeous cream UPVC windows and composite wood door. The home also has a double garage and block paved drive. With a large living room and garden room, the open plan kitchen adds to the already striking features of the home. Furthermore, the plot boasts a large garden, turfed professionally and fenced around relevant perimeters. The home was crafted through our custom build process, which is outlined below. There were a wide range of upgrades available. For detailed plot specific specification, please refer to our sales team. Recessed lighting to ceilings in a variety of colours (white, chrome or brass) to all rooms (including hall and landing), except for the lounge and bedrooms. Telephone and TV points to living room and all bedrooms. Loft light and single socket for aerial booster.